A great gift idea for Christmas. A lovely gift box decorated with Christmas trees with lovely decorations created using Sadi Thread. 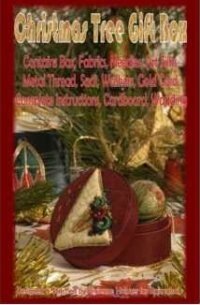 Contains Fabric, Needles, Art Silks, Metal Threads, Sadi, Gold Cord & complete instructions. Click the button below to add the Christmas Tree Gift Box to your wish list.